The Titanfall beta ends tonight, so we're saying goodbye for now to our space diving stomp machines with a two hour livestream starting at 4 p.m. PST (That's 7 p.m. EST and 12 a.m. GMT). Watch as Tyler wall-runs, shotguns, rodeos, and dies over and over until the beta ends or he gets hungry and wanders off to find pizza. 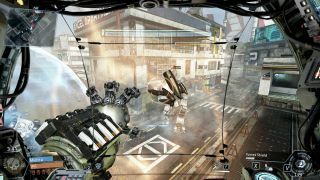 Also check out the 2560x1440 Titanfall gameplay video we captured on the Large Pixel Collider , as well as the absurdly large 7680x1440 screenshots captured by the same absurdly large machine.